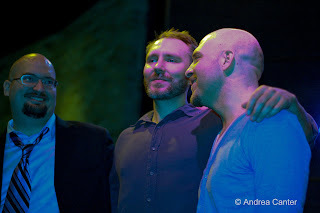 The Bad Plus were back in town for their (8th?) annual post-holiday, post-modern soiree at the Dakota. What was once a one-night gig has grown to a four-night residency. Judging by the sell-out crowds at every set (yes, with the curtain open), this could easily become a full week. If the guys can fit it into their schedule—they were headed back to New York for a long New Year’s weekend at the Village Vanguard. There were some new twists to the trio’s already eclectic-beyond-eclectic repertoire. With their latest recording (For All I Care) released in Europe this fall and on deck for an American release in February, TBP have at least briefly become a quartet with the addition of indie rock vocalist Wendy Lewis. Based here in the Twin Cities, Lewis was on hand for a few tunes over the first two nights at the Dakota. I missed those sets but got a chance to hear the recording recently. Not a big fan of 21st century rock, nevertheless I thought the combination worked. For the most part, the late sets Sunday and Monday did not showcase For All I Care as much as repertoire from earlier releases and new works. I did attend the late sets on Sunday and Monday, which surprisingly had significantly overlapping playlists. But this isn’t the Minnesota Orchestra, this is the Bad Plus, and they can play the same piece ten times without retracing their steps to the point of true familiarity. 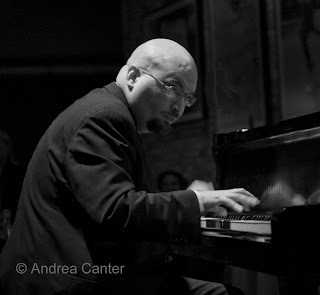 Both nights, they kicked off with a piece from the new recording, Milton Babbit’s “Semi-Simple Variations,” filled with quirky, jagged time shifts and TBP signature sequences of furious, three-way percussion―thundering cascades from Iverson’s piano, propulsive thumps from Anderson’s bass, the ever-strong bleats and crashing accents (including a toy drum slammed on the tom-tom) from King. It was a small symphony of different small movements seamed together with off-kilter breaks. A favorite from Suspicious Activity, “Anthem for the Earnest” pulsated with King’s heavy, backbeat and majestic, repeated phrases from Iverson. Here TBP displayed another vintage element, sudden dynamic shifts that occur just before you tired of the relentless groove. The trio “drumline” became an East European-inflected calliope on Ligeti’s “Metal” (aka “Fem”), another preview of the instrumental tracks of For All I Care. As Pamela Espeland noted on MinnPost, the BP "doesn’t swing” and typically that is true. 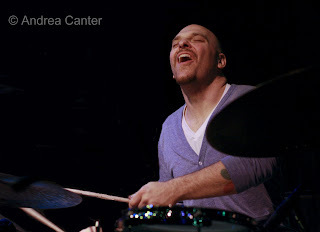 But “Have You Met Miss Jones” only proved that the Bad Plus remains unpredictable. Their rare, almost “mainstream” arrangement of a classic jazz standard still retained some of the trademarks of the trio’s playbook, including percussive vamps and thumping unison lines. And it didn’t swing but Ornette Coleman’s “Song X” burned with an energy that nearly consumed the audience. Sometimes there is so much going on among these three musicians that you want to yell “Stop a minute!” and try to concentrate on each instrument in turn. 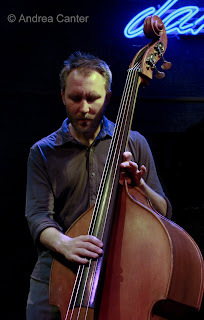 We did get a chance to breathe during Reid Anderson’s extended solo—and for once, everyone was listening to the bass solo, one filled with melodic passages, double stops, fragrant chords. Photos: All from December 28th, the late set: Curtain call for Ethan, Reid and Dave (colorfully distorted); Reid Anderson; Ethan Iverson; Dave King. Photos by Andrea Canter.